"So far on my adventures in Tennessee I had the pleasant surprise of finding out I am attending the school of my idol, Ms. Pat Head Summitt. 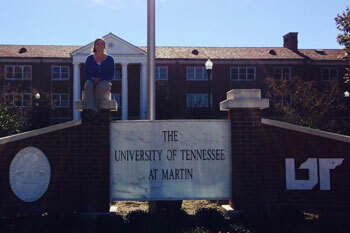 She is a UTM alumni. I have made some lifelong friends and a ton of memories. I now have a better understanding of what the United States of America is all about being from Colorado and have lived in the South. Everyone was very welcoming and the school itself opened me to understand my future." "Going on exchange was one of the most fulfilling, enriching experiences of my life. Immersing myself in a different culture thousands of miles from home and so unlike what I was used to presented an abundance of challenges and opportunities that would never have been available to me otherwise. I loved every minute of it and will always carry with me the positive impact of such a phenomenal learning experience."